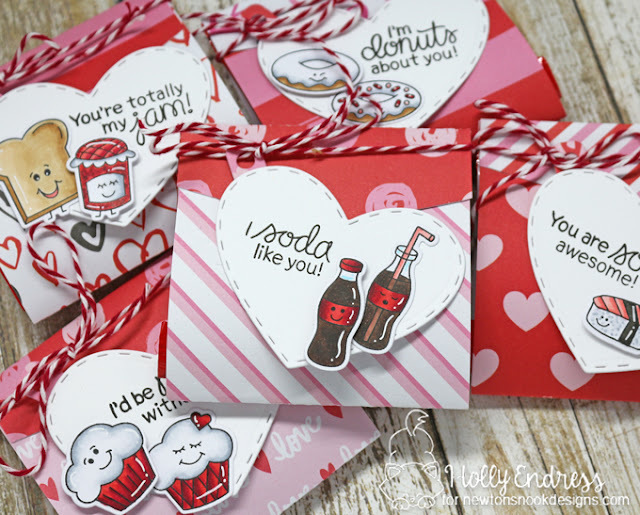 I created some fun little Valentines using the Love Bites Stamp and Die set. Inside each little pouch is a pack of Fruit Snacks. I made 28 of these for my co-workers' kids to use for their classes on Valentines Day. These take some time but you can really crank them out once you get going. I used some random papers I had and measured them to fit around the fruit snack pouch. Then using the Fancy Edges Tage Die set I created a flap for each packet I created. I die cut a heart from the Darling Hearts Die set and stamped the sentiment onto it. I stamped and colored the images in and then I used the coordinating dies to cut them out. I adhered them to the heart tag I created with some foam tape and adhered the tag to the pouch with some Bakers Twine. These measure 3x3 when they are all assembled. You could recreate these with any candy wrapped in a Pattern Paper. I love how you made a tag from these hearts! They are so much fun to look at! 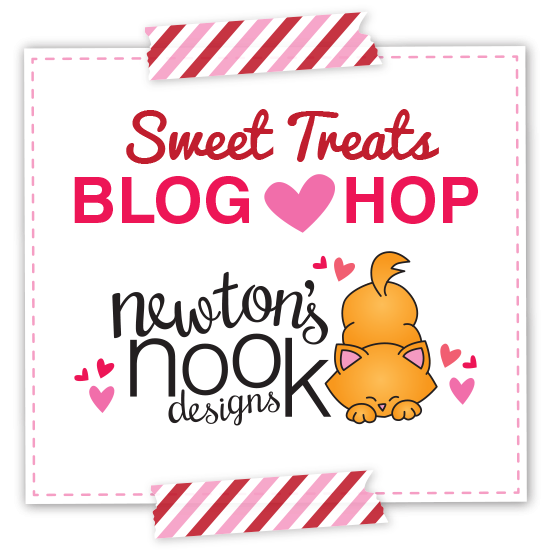 SO love your Punny Love bites set of treats! Super cute - your coloring is spot on! Love the packets. Looks pretty versatile...like holding tea bags or M&M's possibly, too. How cute! I just became a new follower. I love that you used patterned paper. I'm always trying to find cute ways to use mine. Great valentines! Very cute and I love all the puns! Absolutely adorable and fun & creative. Love all the darling, punny sentiments. Super sweet and absolutely adorable! Thanks for the inspiration! I love this stamp set SOOO MUCH! Just the cutest! What a great job coloring! These remind me of the Valentines from my childhood. So cute! Super cute Valentines! Love the punny sentiments! LOVE your SUPER CUTE treats! Thank You for sharing your labour of love and INSPIRING us with your creative treats! Those are so cute - your coloring is fantastic! 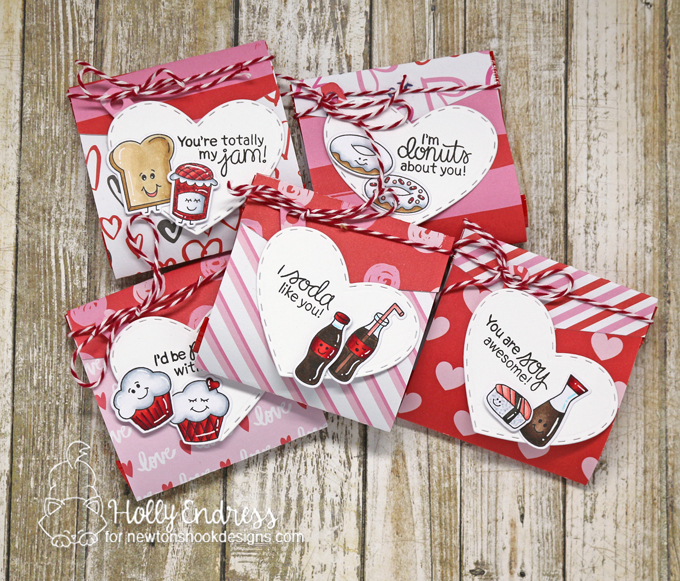 Such fun little Valentine treat pouches! The best part of Valentine's Day is being able to give a 'Thank You' in such a cute, cute package! in the sentiments is darling. These cards so really so cute! I love this stamp set! Anyone would love to get such an adorable Valentine! Your little pouches are pretty amazing! I love that you used fruit snacks. And those sentiments are great. Valentine treats are so cute. The use of Love Bites, Fancy Edges, and Darling Heart Die Sets is amazing. Those sentiments are adorable. These are sooo cute! Love your coloring of those fun images! What a sweet idea! Iam sure the kids will love them! Super cute! Love this stamp set! Creative and fun project! I love this! It is a neat idea for the holder, and the fruit snacks is a nice change from candy. These sweet puns are SODAlightful! !